Have you ever felt like the white rabbit running back and forth searching for the rabbit hole? I'm late! I'm late! I'm late for a date! Sometimes this is what the final days of preparing for your big promotional event can feel like. You're scrambling around the office trying to make sure all the pieces are in order and. . . uh oh! You forgot the customized gifts! No big deal. You can have your custom-printed personalized giveaways whether your event is in three days, two days, or tomorrow! You can even have them by tonight if that's what you need. This happens all the time. With event planning, it is so easy for one of the many, many details to slip between the cracks. You're lucky you caught it before the promotional event began! With so many promo products to choose from, even last minute orders don't just have to be about speed. In the Quick-Ship section you're sure to find a custom-labeled product that suits your marketing event, even on a time crunch. But to help you save even more time, we've compiled a list of our favorite Rush-order ad specialty merchandise. Following, you'll find suggestions for same day, and 24-, 48-, and 72- hour orders. Remember, this list is by no means exhaustive. 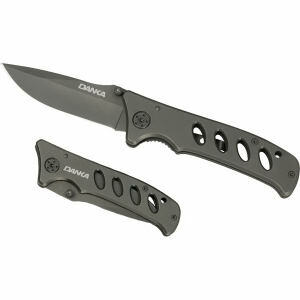 You'll find thousands more promotional options in the rush orders section on IASpromotes.com. So take a deep breath knowing your advertising event or tradeshow is going to be perfect and your promotional products will arrive in plenty of time. Pens are one of the most classic options for promotional products. With this pen, just because you're in a hurry doesn't mean that your promotional product can't be high quality and professional. 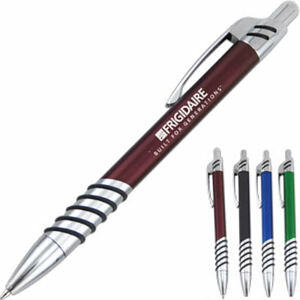 Choose from four metallic colors and watch as these logoed pens attract brand notice at tomorrow's marketing event. Business golf game tomorrow? Or perhaps your company is a corporate sponsor of a big golf tournament…tomorrow! No matter what your reason, this is an incredibly useful golf-themed promotional product. Contains a ball marker, club, brush, divot tool, spike wrench, knife and pen. You can guarantee these specialty labeled golf tool will be repetitively used on the course and will therefore gain your brand and logo frequent notice. No one ever says no to a piece of candy. 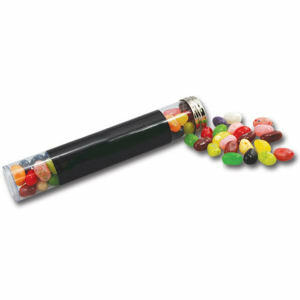 That's why sweet promotional items are a hit every time. This custom-printed tube is filled with chocolate covered raisins. We like these promo items in particular because raisins make us feel like they're sweet AND healthy! 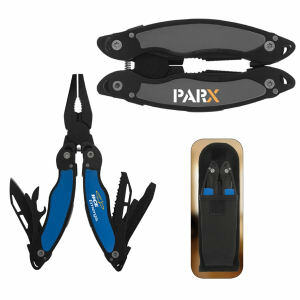 This is a high-quality multi-tool that creates an impressive promotional gift. 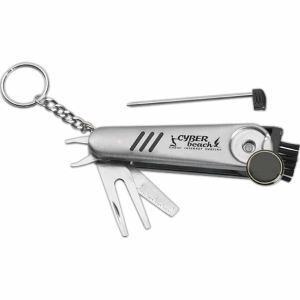 Nothing reminds your customers that you're there when you need them better than imprinting your logo on this highly useful multi function tool. This is a wonderful promotional product for an advertising event where you're really looking to wow your clients. Nothing makes clients appreciate your company as much as if your promotional merchandise helps them relax. This promotional pedicure file not only helps your customers relax, but also guarantees that you'll stay on your customers minds even when they are not working. The promo file comes in a variety of great colors. If the forecast predicts a hot day for your event, ensure that your potential clients will appreciate your company by handing out these promotional fans! 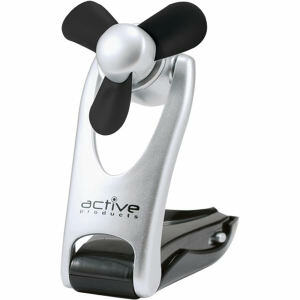 These ad specialty fans include AA batteries, so they can be used immediately. The customized fan also folds out so it can sit upon each customer's desk when they return home from your tradeshow or corporate event. This provides your company with instant recognition and lasting brand awareness. You can never go wrong with a promo mug. Whether it's for coffee or tea, your appreciative clients will be reaching for this custom-printed promotional mug every single morning. No better way to get your company on your client's mind first thing in the morning. 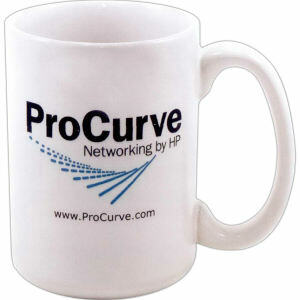 This is an impressive personalized stoneware mug that reminds your customers that you're serious about business. If you've always thought finding a high quality, professional promotional giveaway at an affordable price had to be frustrating, then this is the promo merchandise you've been searching for! When your logo is laser engraved on these 2GB hard drives the result is always impressive. 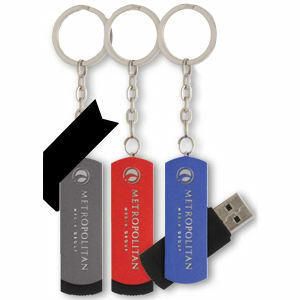 And your customers will certainly love that these customized flash drives are also key chains! This logoed stress ball makes everyone happy. . . literally! 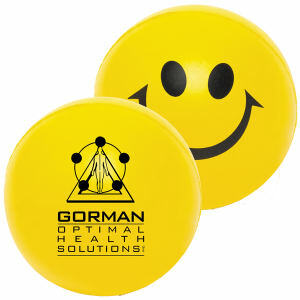 This customized stress ball will always smile up at your clients as they squeeze away the stress. And the whole time, your logo and tagline will be reminding your customers of your company. Most people keep their stress balls on their desks, so that leads to a lifetime of incredible advertisement. Arriba, abajo, al centro, adentro! These promotional ceramic shot glasses are our favorites! Nothing seals the business deal like a round of shots. These ad specialty shot glasses promote your brand and display your logo like none other! So here's to incredible advertising at your door in only three days. Bottoms up! These custom-printed water bottles are BPA free and made in the USA! Show your customers how much you care by supporting the country we live and work in. And you don't have to sacrifice quality or speed for this made in the USA promotional product. 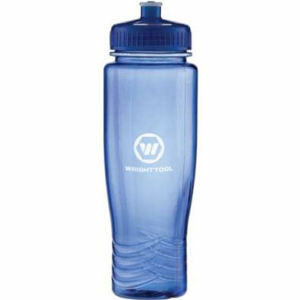 Everybody loves water bottles so let your logo sell your brand while your customers hydrate. 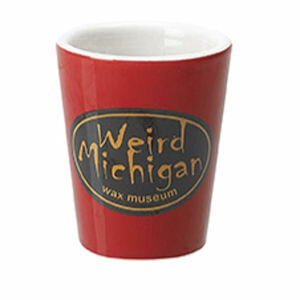 Certain promotional events call for very special ad specialty items. If you want to thank a group of VIPs or to truly attract the attention of a certain market, this promotional knife is guaranteed to do the trick. This custom-printed pocketknife is made from stainless steal. All your clients who use it will be impressed by your brand every time.